Wed., June 20, 2018, 8:38 a.m.
NEW YORK – The mouse is chasing the fox. Disney is upping the ante for Fox, making a $70.3 billion counterbid for Fox’s entertainment businesses following Comcast’s $65 billion offer for the company. The battle for Twenty-First Century Fox reflects a new imperative among entertainment and telecommunications firms. They are amassing ever more programming to better compete with technology companies such as Amazon and Netflix for viewers’ attention – and dollars. The bidding war comes after AT&T bought Time Warner for $81 billion, after a federal judge rejected the government’s antitrust concerns. Disney’s move had been expected ever since Comcast’s bid, which was higher than Disney’s original offer in December of $52.5 billion in stock. Comcast’s offer was all cash. Disney’s new offer of $38 per share is half cash and half stock. In a statement Wednesday Disney said it is raising its offer because Fox’s value increased due to “tax reform and operating improvements.” In a call with analysts. “After six months of integration planning we’re even more enthusiastic and confident in the strategic fit of the assets and the talent at Fox,” said CEO Bob Iger in a statement. 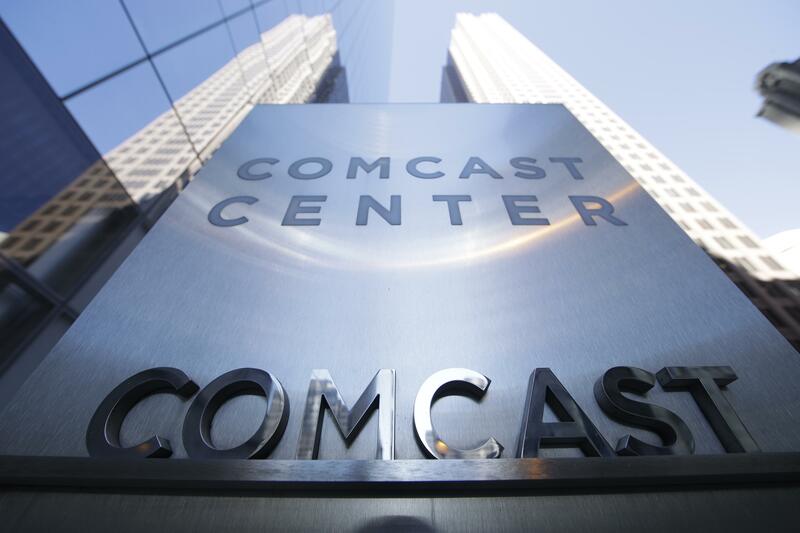 Comcast, based in Philadelphia, did not immediately respond to a request for comment. So just how high can the bidding war go? GBH Insights analyst Dan Ives said he thinks the “line in the sand” is $75 billion to $80 billion. The deal would include Fox film and TV studios, some cable networks and international assets, but not Fox News Channel or the Fox television network. Fox CEO Rupert Murdoch said the company “firmly believes” that the combination with Disney is a good fit. “We remain convinced that the combination of 21CF’s iconic assets, brands and franchises with Disney’s will create one of the greatest, most innovative companies in the world,” he said in a statement. But the New York company also said it is still weighing both offers, and noted that Disney’s new bid doesn’t have any provisions in it that prevents Fox from considering other offers. Fox and Disney shareholders had been scheduled to vote on Disney’s original bid July 10, but that meeting has been postponed. In morning trading, shares of Twenty-First Century Fox rallied 6 percent to $47.47. Disney edged up 89 cents to $106.99 while Comcast rose 8 cents to $32.89. Published: June 20, 2018, 8:38 a.m.